One Stop Solution for all your English into Urdu and Urdu into English Translations needs. Looking for a professional from and to Urdu and English translator with higher level of accuracy and reliability? If you need Urdu translation of any English document, data or book, or you need English translation of an Urdu document, data or book, your search ends here! With the extensive experience of five years in English Urdu translation field, and successful completion of many projects, I am here to serve you with my services for high quality, reliable and accurate translation in the timely manner. Assignments from individuals and organizations as well translator agencies companies are welcomed. Special discount would be offer on bulk order and to the regular clients. 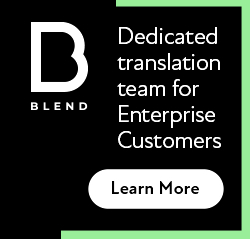 Interested persons, companies, or translation agencies can have sample translations of the their given text. I am ready to go through any translation test, to ensure the clients, regarding the quality of my Urdu translation services. Although, my rates are highly competitive and are much lower than those which are prevailing in the market, these are further negotiable, which depends upon the text and domain. Always looking forward for your valued response and enquiries. Translation is a very important issue and it makes hard work look so easy and I really appreciate what you have done here and I hope it becomes successful. It was hard to find good English – Urdu translator. With this effort I believe it will be much easier. Nice to see that you had came up with uncommon idea and it’s really helpful. Thank you so much for share it with us. I’m glad I’ve found this one. its so hard to find a good translator. I’ve tried this out and I want to say this is really super. So thought to leave a comment. Thumbs up! Good job! and thanks for giving a good service. I am a translator too. I translate English, French and Hindi. I am doing translating as my hobby. Very helpful, I hope I speak Urdu soon. This is a really helpful article for the translators like us. Nice Sharing. This is very valuable sharing. Currently, I'm learning Urdu. I have to do research about languages. These days I'm focusing about my that work. Wow, This is great news for Indians whom learning English as a new language. That would be really helpful. This very use for the people who deals with international market. Great info. Alternatively, if you have a health club membership, you can ask their instructors for targeted suggestions. commonly used by many successful body builders across the world.